Hello everyone! I am happy to be here today. REALLY happy. I have a story that I would like to share with you. It is a little personal, but worth telling. We all have people in our lives that we don’t get along with all the time. Case in point: A friend of mine, whom I trusted with family struggles, health issues, and daily life, betrayed me. I was troubled because I wanted to be accountable for my actions. I wanted to be mature, forthright, and honest. Even though I had not betrayed my friend, I still knew I needed to be accountable. It was a heavy burden. And it took me awhile to pull together my thoughts and feelings. I am sure you have had something similar happen to you at some point in your life. After much prayer, I decided I would calmly confront and talk to the said friend. I accepted my portion of the blame and guilt. But, when I approached her to ask her why she would betray me, she could not answer clearly. AND, she wouldn’t apologize for her actions. What did she do? She was angry and bitter with me. Wait, what? She had betrayed my confidence in her. BUT SHE was angry and would not apologize. This left me even more puzzled and confused. I didn’t want to be angry. I didn’t want to hold a grudge. I didn’t want to be poisoned by her or her bitterness. Then I remembered a quote from the movie Anne of Green Gables. Have you seen it? Oh my, if you haven’t it is a MUST see. There is a part in the movie that Katherine mocks and makes fun of Anne’s success. Anne politely turns to Katherine and says, “I will not be poisoned by your bitterness.” AW! Perfect saying for anyone in your life that is bitter, angry, or misguided. It has been my mantra for years. Anne is SO wise. Well I can honestly tell you it took me months and months not to be angry, hurt or bitter. But, I kept telling myself “I will not be poisoned by your bitterness.” It definitely helped me. Believe me, I wasn’t perfect. I still was resentful, mad at myself, and mad at the whole situation from time to time. Why did I tell you this? Because we all have experiences like this occasionally. It rocks our world, thought process and our spirit. “I will not be poisoned by your bitterness” can help you in almost every bad or uncomfortable life situation. 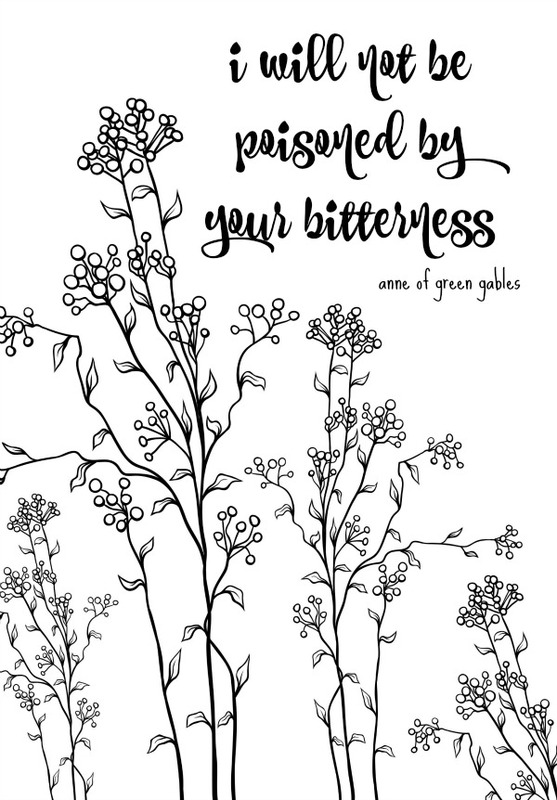 I love this quote so much, that I made a FREE I Will Not Be Poisoned By Your Bitterness Printable just for you to have of your own. Right click on the picture and click print. It is that easy. I hope you have learned a little lesson today. I hope you never have to lose a friend like I did. I really do. It hurts and takes time to heal. I am now beyond being angry, hurt or bitter. I am content knowing I tried my best. That is all I can do. 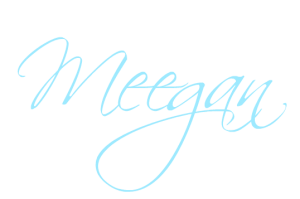 Thanks for joining me and letting me share a little bit about the REAL Meegan. I feel that Anne-girl (for I always use Gilbert’s pet name for her) has so many tidbits of wisdom for us. And I am so sorry that this has happened, Meegan…but YOU did the right thing, even if she did not. Congratulations for finding your way through the hurt by praying. You acted in the right way and now know it is over. A hard lesson but a delightful quote. A good reminder for all of us. Oh, Meegan I am so sorry this happened to you. I had a similar situation it happened over 2 years ago a major misunderstanding, but my friend judged me and held an offense we talked and apologized and prayed, but she has kept her distance it has never been the same. I think about it often and miss her friendship. But I have done all I could and did what The Lord asks of me. I pray for her almost daily. So sorry you had to go through this. I have as well. This quote is just perfect. Move on! Love ya! I am using your printable as my desktop wall paper because I need it as a reminder. Thank you!